A study presented at AIDS 2018 last November showed that the rate of non-infectious, HIV-related diarrhea hasn't changed significantly over the past nine years — and continues to effect 17 percent of people living with HIV. The results of this large clinical trial review are highly compelling as chronic HIV-related diarrhea not only has a direct physical effect, but can also have severe consequences to one's quality of life, mental well-being, drug effectiveness, and adherence to antiretroviral. Unfortunately, even now, diarrhea is not well-addressed as an important health concern in people living with HIV. Researchers examined data from 38 HIV clinical trials, with a total of 20,000 participants, in studies posted on clinicaltrials.gov from 2008 to 2017. Selected studies included over 100 participants and were U.S.-based, though some were multi-centered with sites in additional countries. All studies were pivotal efficacious intervention studies that looked at the efficacy of specific HIV ARVs or ARV regimens, and which reported incidences of diarrhea as an adverse event. Of the 38 trials reviewed, 21 had enrolled participants naive to ARV treatment, 11 enrolled participants who were treatment experienced with undetectable viral loads at the beginning of the study and switched to different ARVs, and five enrolled those who were failing their first ARV regimen. One of the studies included participants who were both treatment naive and experienced. Participants in the comparative arms were also included in this study. The point of treatment in those studied (naive, treatment-experienced, or treatment-failures) is important beacuse possible side effects (like diarrhea) after starting new ARVs is somewhat expected. The body often adjusts to new medications so these side effects can ultimately diminish. 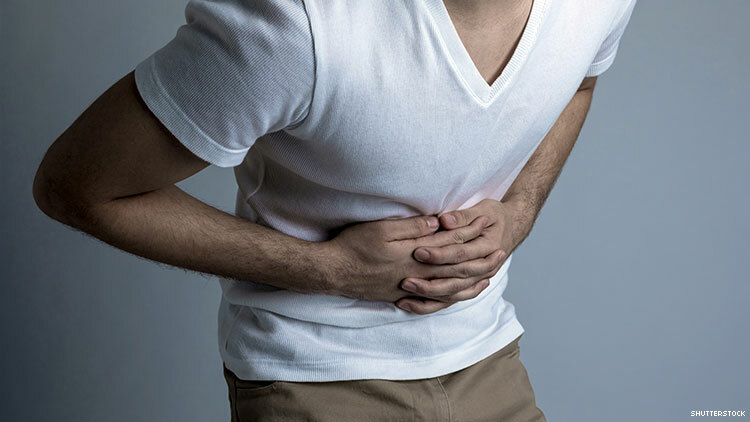 However, long-term non-infectious diarrhea may indicate a different cause such as HIV-enteropathy or may represent a side-effect of a specific ARV. In these cases, measures should be taken to diagnose the cause and treatment or drug change provided where possible. Researchers found that the rate of diarrhea in the studies reviewed was approximately 17-18 percent and remained consistent over the past nine years, which runs against the common belief that the rates of diarrhea among HIV-positive patients has declined significantly in recent years. This rate was similar in both participants who were taking FDA-approved ARVs and those given experimental therapies. The average reported diarrhea incidence was significantly higher for participants who were treatment-naive versus those who were treatment-experienced at 19.72 percent vs 13.74 percent, respectively. Researchers also analyzed adverse events reported data from specific ARVs and compared it to corresponding FDA-approved package inserts (PI), and found that the rates of diarrhea reported by drug makers varied greatly from the rates of those in the clinical trials reviewed, as would be expected given that the PI reports adverse events attributed to the ARV by the investigators. For example, the rate reported for Stribild on the package insert was 12 percent, however, the meta-analysis reported 20.6 percent. Similarly for Genvoya, the package insert reported half the rate of the meta-analysis at 7 percent versus 14 percent. For Triumeq, 1 percent (grade 2) versus 16.1 percent; Isentress, noneversus 17.2 percent, and Evotaz 11 percent versus 22.1 percent. This distinction is important since the package inserts report the rates of new or “treatment emergent “ incidents of diarrhea attributed to a specific ARV, whereas the clinical trial adverse events (in this case diarrhea) reported in the studies reviewed on ClinicalTrials.gov represent the background rates of diarrhea and highlight the persistence of this important morbidity in the modern era. "It remains consistent that patients who are living with HIV are still experiencing loose stools and diarrhea irrespective of being on the most current or older antiretroviral regimens. It is also paramount that clinicians not rely solely upon package insert reported rates of Adverse Events and instead seek the actual occurrence. Any and all efforts undertaken to enhance the quality of life for persons with HIV on antiretrovirals can only hope to improve outcomes, decrease transmissions, and move toward the end of the epidemic," stated Patrick G. Clay, PharmD, AAHIVP, CPI, FCCP Professor of Pharmacotherapy at the University of North Texas System College of Pharmacy and co-author of the study. Chronic HIV-related diarrhea is often not addressed during conversations between people living with HIV and their care providers, and thus can remain untreated. Living with this condition for years can create a sense of acceptance combined with a belief that there’s no point in complaining, as many patients, as well as providers, are unaware that an effective, FDA-approved treatment exists. Some patients and clinicians may reflexively turn to over-the-counter remedies like loperamide (brand name Imodium), even though they are not indicated for long-term use for chronic diarrhea or HIV-related diarrhea based on its mechanism of action. Further, loperamide is under heightened scrutiny in the context of the opioid epidemic for its potential for abuse, as it is a synthetic opioid. Currently, there is only one FDA-approved drug to treat such HIV-associated diarrhea: Mytesi (generic name Crofelemer), which surprisingly is not widely known nor prescribed. In some states, such as New York, Medicaid requires a prior authorization before Crofelemer can be prescribed. This creates a barrier to access. Prior authorization is time consuming for physicians and contributes to many people not receiving the drug when needed. It's often reserved for medications that are expensive, misused or that have the potential to be abused, none of which is the case with this anti-diarrheal medication. This study shows that whether it’s ARV-related, enteropathy or a different cause, diarrhea is still a common condition for people living with HIV and should be actively addressed. Underreporting of diarrhea, a belief among many HIV specialists that diarrhea is no longer a problem, as well as physicians being unaware of the benefits of the only available treatment, all contribute to untreated diarrhea remaining a serious morbidity for nearly one-fifth of people living with HIV.